Formula E will return to London in 2020 in a new location, four years after the city was axed from the calendar. Formula E has announced London will return to the all-electric championship's calendar for Season 6, with a race due to take place in the city in 2020. London hosted the final double-header round of Formula E's first two seasons with a circuit at Battersea Park, but was forced to scrap the E-Prix following the 2016 edition due to pressure from locals and a number of challenges laid against the event. Formula E officials have been working to return to London for a number of years, with confirmation arriving on Tuesday that a deal had been struck to return with an E-Prix at the ExCel Arena in the east of the city. 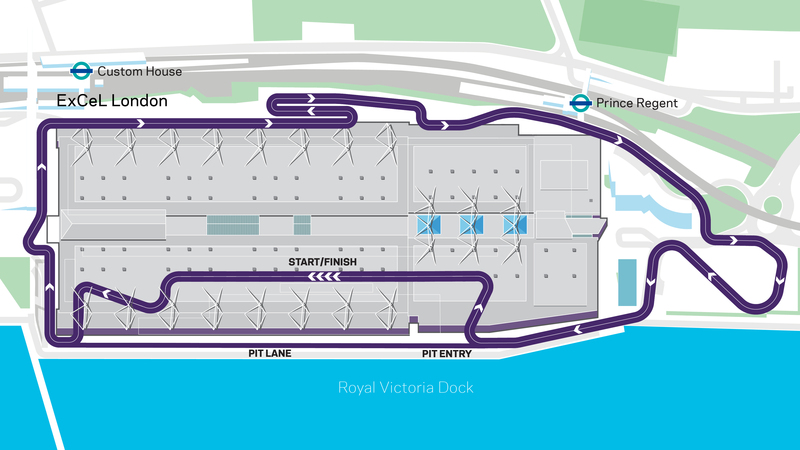 The 2.4km circuit will have a starting grid inside the ExCeL Arena, and comprises 23 corners. A provisional date has been set of July 25-26 2020. "“I’m extremely excited to be bringing the ABB FIA Formula E Championship and electric racing back to the UK," Formula E CEO Alejandro Agag said. "Every motorsport series would love to host an event in London - this has been our desire for quite some time now and we’re delighted to have found a new home in the Royal Docks at ExCeL London. "We have a growing base of knowledgeable and passionate fans in the UK, and this race adds to a fantastic summer of sport as a world-class event we hope Londoners can be proud of. Formula E coming back to the UK extends beyond pure racing excitement, it’s also a strong message for London to tackle inner-city air pollution by promoting clean technologies and electric sustainable mobility."